Anniversary Q&A As a principal member of the R&D personnel at Philips, Lou Ottens has been behind some of the most enduring audio products in both the analogue and digital domains, from the Compact Cassette to the Compact Disc. In this interview with The Register, Lou Ottens, now in his eighties, recalls the development of the Compact Cassette tech standard leading up to the product's launch 50 years ago. It was a device that, in its time, would change lifestyles, manufacturing industries and have mixed blessings for the music business too. El Reg: "Devising the Compact Cassette would require people with knowledge of a variety of disciplines. What sort of team were you working with?" Lou Ottens: "The group of engineers that I got to manage in the late 1950s and early 1960s consisted of mostly young people with experience in the design or manufacture of record-playing and tape-recording equipment in Eindhoven-based groups. It was a mixed group of Belgian and Dutch origin. 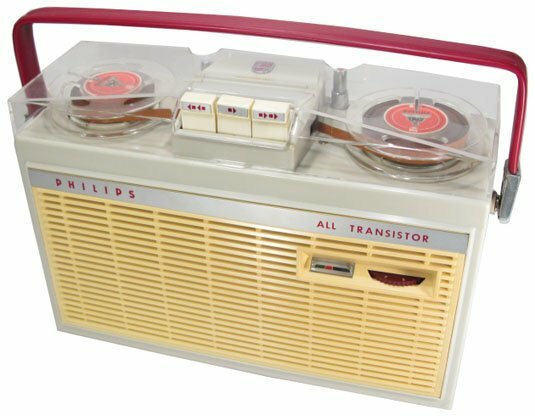 El Reg: "Was there a particular product made by Philips that prompted the company to begin the project that would lead to the Compact Cassette?" 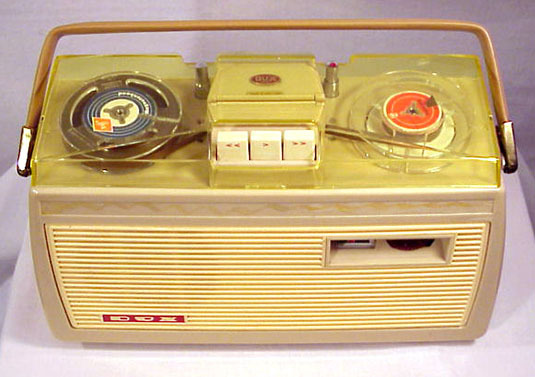 Lou Ottens: "Before the design of the Compact Cassette, we developed our first battery-driven reel-to-reel portable recorder, the EL 3585 came out in 1958, I believe, and was very successful. The total production was more than one million pieces. It made us confident that there would be a big market for a smaller, pocketable battery recorder." El Reg: "Can you say more about some of the other products available that were influential from other manufacturers?" El Reg: "That sounds like a workable prospect, why didn’t it take off?" El Reg: "Were there many other viable alternatives available at the time?" Lou Ottens: “Soon after the RCA proposal came a design from Dr Peter Goldmark of CBS, which consisted of one reel only. A piece of rigid leader tape that clicked between the outer rims of the flanges made it possible to be handled without de-reeling. It led to a rather complicated and not very reliable recorder, but it had an important innovation. "Goldmark proposed a narrower tape of improved quality. He proposed a tapewidth of 0.15 inch (3,81 mm) and a tape speed of 1 7/8 IPS (4,75cm/sec). It had to be rewound after playing, which is very impractical." El Reg: "Naturally, reliability and practicality are major factors to get a product accepted but presumably Philips had specific goals in mind to implement..."
Lou Ottens: “We, as a product development group, were aimed at the lower price range of the gramophone and recording market. New product proposals should therefore be cheap, small, have a low battery consumption, together with an appropriate reproduction quality. El Reg: "How did you go about 'trying out different proposals'?" Lou Ottens: "When the RCA proposal came on our desk, and soon afterwards the CBS tape size, we made a working sample of a tape deck based on a shrunken sort of RCA cartridge with 20 minutes playing time and the CBS size of tape. It worked surprisingly well. "The guys from the commercial product management were very happy with the proposal, but were in favour of 30 minutes – and they were right. Our first point of departure had been a good speech quality, but with the obvious potential suitability for music quality it was better to choose for a space that would equal the possibilities of a long play record which is a maximum of about 30 minutes per side."